Are you maintaining your business’s network security to the best of your ability? Are you maintaining your business’s network security to the best of your ability? Or are you letting small, routine mistakes put you at significant risk? If you’re guilty of these three mistakes, it’s time to step up your game when it comes to your business network. Not only can these mistakes leave you open to attacks, but they can also reduce productivity and leave you with a less functional system costing you time and money while increasing your risk of threat. 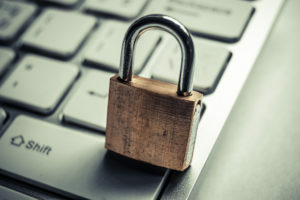 As a small business owner, you may think that you don’t need to secure your network. After all, with such a small business what benefit will a hacker find? The truth is that hackers are after more than just money. The personal private information of your customers, no matter how few, might be enough for a hacker to target any size business. Additionally, some will hack a business just for fun. Even if no information or material is stolen the damage to your reputation can be significant. Adding simple network security methods can help deter potential attacks and keep your system secure. Not only can putting the wrong cord and port in the wrong place lead to unnecessary interruptions in service, but it can also be just plain annoying. Having a full map of your network system with labeled cords and ports will make you and your employees’ lives easier. Additionally, make sure any wires and ports are only accessible to those who need them. Having them too public can lead to a variety of problems. One of the worst mistakes that businesses of every size make with there tech is not to update frequently enough. New updates not only improve usability and offer better functionality, but they often include fixes to any identified security bugs and holes. If you’re not updating often enough, you’re leaving yourself open to easily preventable security attacks. This entry was posted on Friday, February 8th, 2019 at 10:56 am. Both comments and pings are currently closed.